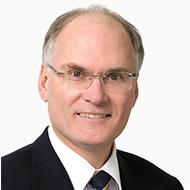 Winnipeg Oral Pathologist Dr. John Perry earned his D.M.D. degree from the University of Manitoba in 1976. After four years in private dental practice, Dr. Perry undertook graduate studies in oral pathology at Emory University in Atlanta, Georgia. In 1982 he joined the faculty of the University of Manitoba in a part-time capacity while completing a MSc. in the Department of Immunology in the University’s Faculty of Medicine. Since 1985, as an Associate Professor in the Department of Dental Diagnostic and Surgical Sciences, Dr. Perry has instructed in the undergraduate and graduate dental and undergraduate dental hygiene programs in the disciplines of oral pathology and oral radiology. Dr. Perry is a Fellow of the American Academy of Oral and Maxillofacial Pathology and a Fellow of the Royal College of Dentists of Canada.